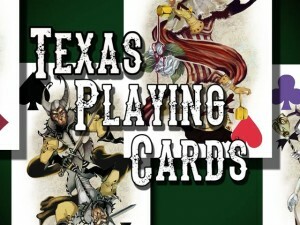 Texas Playing Cards has a Kickstarter under way for... well... playing cards. Sort of self-explanatory in the company title, eh? Most of the time people slap new paint on the old 56 card structure and call it new. This deck is really new. This has never been done before and I want the first run to be as special as possible, but why Texas Playing Cards? Well, there is a short version and a long version, but first lets check out all the cards.